Ap Gown Store Prestashop theme will bring an awesome surprise for everyone and meet high expectations towards high fashion stores. The luxurious beauty of the homepage will catch your eyes at once. The logo is placed right in the center with the intent to make visitors pay attention to the brand immediately and stick the name to their mind. Ap Gown Store Prestashop is also designed with a large slideshow and high resolution banners, where you can showcase best sellers, top trending collections or hot deal seasons. Leo Safety is our new responsive Prestashop theme, fully compatible withPresatashop 1.5. It looks great in all devices: mobile, tablet. It is our new great design specific for Safety, Fashion Store, Sport Shop. The Prestashop theme is developed with Leo Framework – our responsive Prestashop framework that has Twitter Bootstrap integrated. Leo Safety will be a solid template with clean and flexible design. One feature that can not ignore is multiple view modes for product displaying: portrait and landscape. 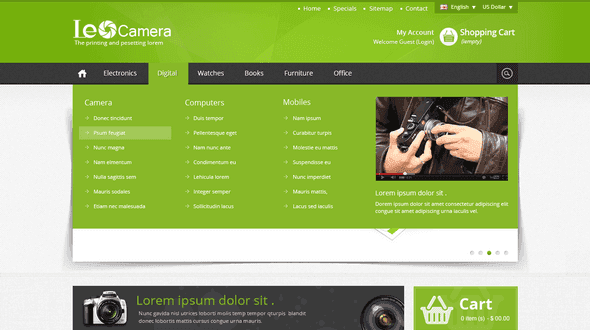 This theme have the most coolest effects css3 and is made with bootsrap 3….. Fashion Theme have the best modules like Revolution Slider for Prestashop and woth 15$ only the slider, this theme is made for bussines and have more colors ready from admin. Fashion theme is release responsive &many more. Drug Store Prestashop Theme is designed for drug and medical stores. Drug Store Prestashop Theme is looking good with blue color. All sub pages are customized. It is very nice with its clean and professional look. Jewelry Store Prestashop Theme is designed for apparel and Jewelry stores. Jewelry Store Prestashop Theme is looking good with blue and grey colors. All sub pages are customized. It is very nice with its clean and professional look. Tools Store Prestashop Theme is designed for spare parts stores and tools stores. Tools Store Prestashop Theme is looking great with colors. All sub pages are customized. It is very nice with its clean and professional look.